Golf resorts and golf destinations across the globe have been honoured at a gala dinner to mark the 2019 IAGTO Awards in Slovenia capital Ljubljana. The winning destinations in the golf tourism industry’s annual celebration of excellence are Spain’s Costa del Sol and Logroño-La Rioja regions, Dominican Republic, Mauritius, Hua Hin in Thailand and Scottsdale, in Arizona. Golf resort awards were scooped up by Scotland’s Gleneagles, the Fairmont Chateau Whistler, in Canadian province British Columbia, and Mission Hills Haikou, on China’s tropical paradise island of Hainan. Besides the IAGTO Awards – organised by global golf tourism trade organisation IAGTO (International Association of Golf Tour Operators) – a further four golf resorts were lauded for their environmental and community efforts in the 2019 IAGTO Sustainability Awards. Run in conjunction with non-profit golf sustainability body GEO Foundation, they have been held for the last six years. The 2019 winners are: Italy’s Gardagolf Country Club; Jack’s Point Golf, in New Zealand; Al Mouj Golf, in Oman; and Portugal’s Vidago Palace, which is only the second recipient of a Special Award. The winners were announced to 1,200 international golf tourism delegates at the gala dinner, which was held in the Ljubljana Exhibition & Convention Centre at the end of the 21st International Golf Travel Market. IAGTO Chief Executive Peter Walton said: “With our annual Golf Tourism Awards now in their 19th year, it is inevitable and expected that a number of tonight’s Award winners were receiving this highest of accolades for the second or third time. But there were also some stand-out first time winners including the Costa del Sol deservedly being voted European Golf Destination of the Year, and on the other end of the scale but also in Spain, the evocative region of Logroño-La Rioja being nominated Undiscovered Golf Destination of the Year by the world’s leading golf travel writers. “The fact that Gleneagles and Fairmont Chateau Whistler were first-time winners demonstrates the wealth of incredible golf resorts available and the strength of the competition. Delivering the best possible experience for the visiting golf travel consistently year after year saw the Dominican Republic become the only four-time winner (2009, 2013, 2016, 2019) with Mauritius on three (2008, 2016, 2019) and Mission Hills Haikou (2012, 2019), Scottsdale (2011, 2019) and Hua Hin (2014, 2019) all picking up the iconic crystal Award for the second time. For the 2019 IAGTO Sustainability Awards press release, and comments and press releases from individual IAGTO Awards and IAGTO Sustainability Awards winners, visit www.iagto.com/awards. 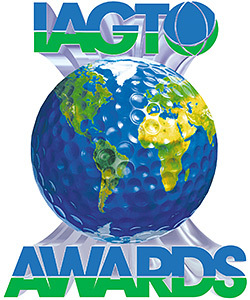 The Golf Destination and Golf Resort awards are voted for by IAGTO’s specialist golf tour operator members that now number over 690 from 64 different countries. Each was asked to vote for what they considered to be the best-performing golf resorts of the year. They considered these criteria: customer satisfaction; quality of golf courses and accommodation; value for money; support from suppliers, tourist boards & airlines; professional conduct of suppliers; and accessibility to tee times. The Undiscovered Golf Destination of the Year Award is voted for by the 230 golf travel journalists from 38 countries of the International Golf Travel Writers Association, who consider the following: to what extent is the golf destination undiscovered; qualities that make for an interesting golf destination; attractiveness of the region and of the courses; golf course quality & accessibility; standard of accommodation; friendliness of the staff; value for money; speed of play; and climate.